Recently, Biotics Research became the first professional supplement brand in the United States to join the ranks of GOED membership. 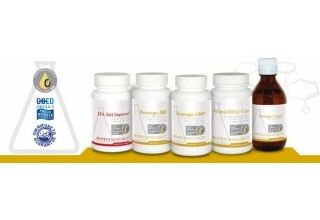 Formed in 2007, GOED, the Global Organization of EPA and DHA Omega-3s, is comprised of a number of entities in the omega-3s industry, from fish oil producers to those manufacturing or distributing omega-3s. "A GOED membership just makes sense," says Denis DeLuca, President, Biotics Research Corporation. "We value the global work that GOED does for the omega-3 industry, and we value our role as an influential player in the omega-3 market." 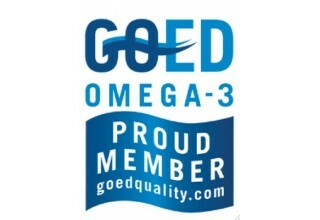 The intention of GOED is to bring together diverse groups of omega-3 industry players to ensure members produce quality products. "Quality can be highly variable in the marine ingredients industry," continues Mr. DeLuca, "so we're proud to partner with organizations that are setting the highest-quality standards for omega-3s." By joining GOED, companies support global education addressing the importance of EPA and DHA; enable GOED to further the science around EPA and DHA omega-3s; and help GOED advocate with governments and NGOs around the world. "GOED is happy to welcome Biotics Research to our membership," says Ellen Schutt, GOED's Executive Director. 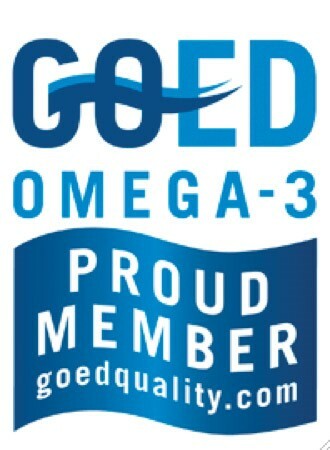 "Joining GOED reflects a company's commitment to upholding the highest quality standard in the omega-3 industry and we are pleased that Biotics Research is supporting our mission to increase consumption of EPA and DHA omega-3s around the world. GOED strongly believes that EPA and DHA are important nutrients for public health and companies like Biotics Research help us continue to spread that message globally." For Biotics Research, becoming a GOED member comes on the heels of having just partnered with Orivo, a third-party certification group also setting international standards for quality of marine ingredients. The recently established Orivo test, which is the first of its kind in the industry, is able to verify both ingredients and end-consumer products, including concentrated fish oil. Biotics Research Corporation was the first US supplement company to start using the authenticity test for their products containing fish oil. Claiming to use an anchovy source from the cold waters of the South Pacific Ocean off the South American coast, Biotics Research fish oil products can now be verified authentic by Orivo. "The fact that Biotics Research has joined GOED confirms two important aspects for us," says Svein Erik Haugmo, CEO of Orivo. "Biotics Research is a responsible brand owner operating in accordance with GOED's high ethical standards, aligning well with ORIVO's focus on honest and transparent sourcing and label claiming, and, also, GOED is covering the whole value chain by increasing its footprint in the consumer-oriented segment." A family-owned and operated company for over 40 years in the United States, Biotics Research Corporation has revolutionized the nutritional supplement industry by utilizing "The Best of Science and Nature." At Biotics Research, we combine the lessons that nature teaches with the very best of cutting-edge science. Combining nature's principles with scientific ingenuity, our products magnify the nutritional benefits to clinicians and their patients with cost-effective, leading-edge supplements and enhanced product performance. Biotics Research drives advancement by focusing initiatives on research, natural effectiveness, product safety, efficacy, unparalleled quality control and continuing innovation.